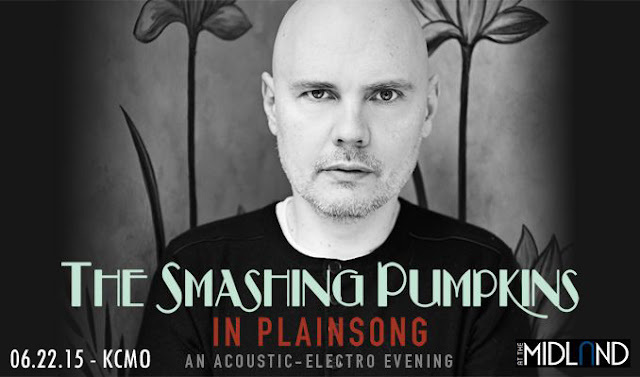 The Smashing Pumpkins came to town, and I had an opportunity to catch the show down at the Midland Theater in Kansas City. It was pretty good show, but didn't quite meet the expectations of many, who apparently expected a bit of the old flair. I had read up on the tour a bit, and had a pretty good idea of what I was getting myself into. Billy Corgan is pretty much all that is left of the fierce sound that once captivated youth across the nation. At times others played along on bass, but it was pretty much Billy and a beat box. We arrived late, so I am not really sure if there was a warm-up act. It was not your typical length of performance; this one went on for 3 hours.